A swoon worthy scene for me! Task: Pick one swoon-derful scene that will make your readers faint! *Waves* Hi everyone! I'm so excited to be here to start bookmas for the second time here at The Y.A. 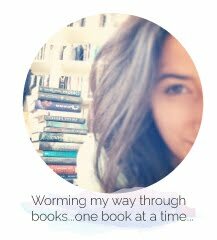 Bookworm Blogger! 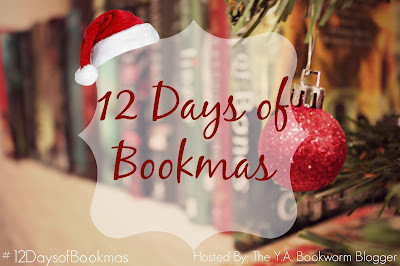 Be sure to stop by EVERYDAY until Christmas to have the opportunity to earn extra entries for the fun Bookmas giveaway I'll be hosting throughout the duration of this event! So without further ado, here is a swoony scene from Unravel Me by Tahereh Mafi, more specifically, from the famous Chapter Sixty-Two ;) ! This scene was definitely one of my favourite swoons of the year.....I'm sure most of you can guess what #Team I'm on ! "It's never been a secret. I've never tried to hide that from you. I've never pretended I wanted anything less." "You- you said you wanted f-friendship-"
"Yes," he says, he swallows, "I did. I do. I do want to be your friend." He nods and I register the slight movement in the air between us. "I want to be the friend you fall hopelessly in love with. The on you take into your arms and in your bed and into the private world you keep trapped in your head. I want to be that kind of friend," he says. "The one who will memorize the things you say as well as the shape of your lips when you say them. I want to know every curve, every freckle, every shiver of your body, Juliette-"
"No," I gasp. "Don't- don't s-say that-"
I don't know what I'll do if he keeps talking. I don't know what I'll do and I don't trust myself. "I want to know where to touch you," he says. "I want to know how to touch you. I want to know how to convince you to design a smile for me." I feel his chest rising, falling, up and down and up and down and "Yes," he says. "I do want to be your friend." He says "I want to be your best friend in the entire world." "I want so many things," he whispers. "I want your mind. Your strength. I want to be worth your time." His fingers graze the hem of my top and he says "I want this up." He tugs on the waist of my pants and says "I want these down." He touches the tips of his fingers to the sides of my body and says , "I want to feel your skin on fire. I want to feel your heart racing next to mine and know it's racing because of me, because you want me. Because you never," he says, he breathes, "never want me to stop. I want every second. Every inch of you. I want all of it." If you haven't read Unravel Me or Shatter Me than I sure hope that steamy little excerpt encourages you to do so ASAP. Where did your favourite swoon of the year come from? Be sure to let me know in the comments below! I have been waiting to own Unravel Me for almost a year! It is definitely on my Christmas wish list. Thank you so much for including it in your giveaway. And chapter 62 was so swoony worthy I almost fainted reading it. I hope and pray there's more than that in Ignite Me. Happy Holidays! Oh I so have to read Unravel Me still! That was just... oh man! Definitely swoon-tastic! My favorite swoon of the year was from of beast and beauty by stacey jay. 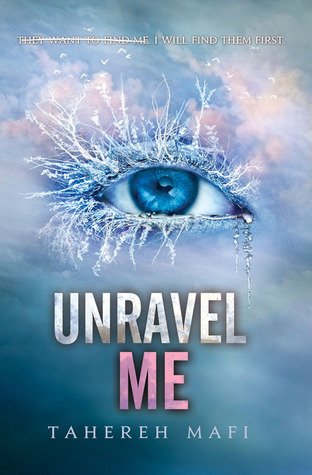 I've heard of Unravel me and seeing again here, it sounds really interesting :) Thanks for the giveaway.